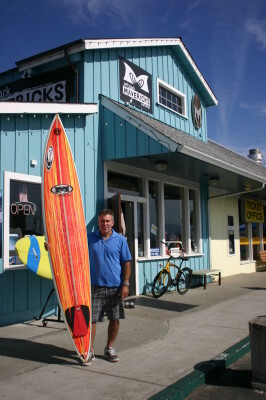 Welcome t o Jeff Clark’s Mavericks Surf Company®, home of authentic Mavericks Surf® gear and Jeff Clark Surfboards®. No trip to Half Moon Bay and the northern California coast is complete without a stop in this historic shop. 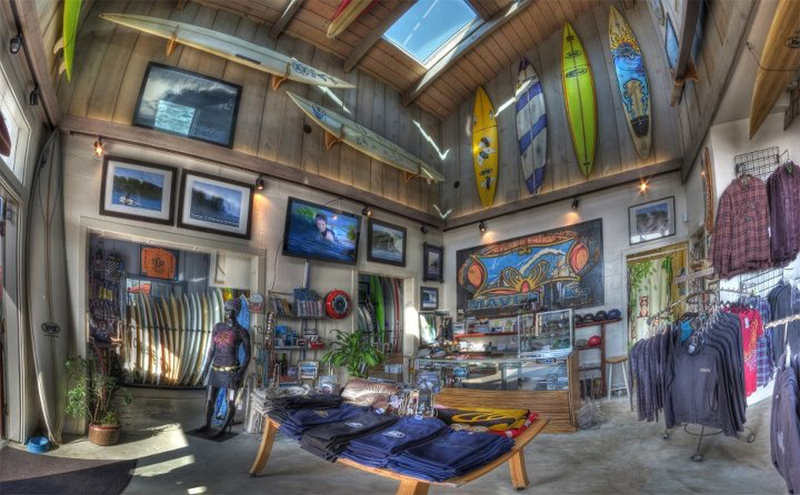 Our flagship store is located in Pillar Point Harbor, 4 miles north of downtown Half Moon Bay and across the harbor from the renowned giant waves at Mavericks. 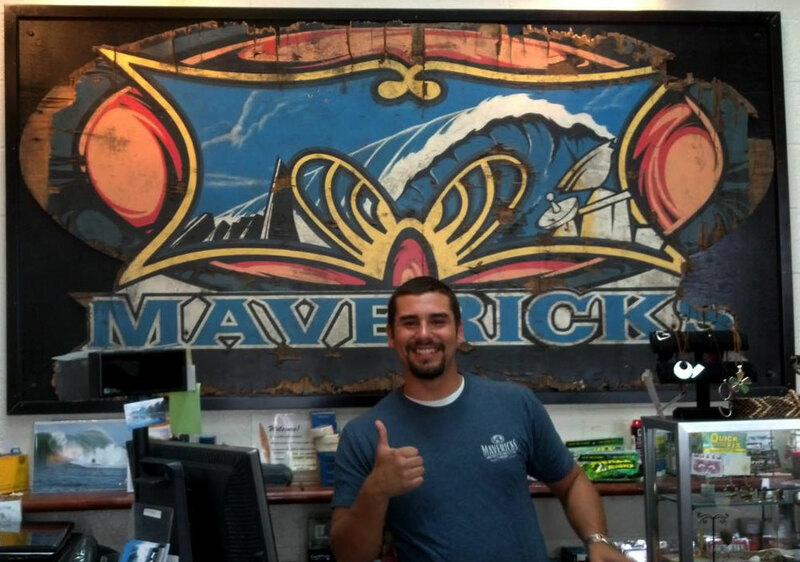 Mavericks Surf Company was founded by Mavericks pioneer and big wave surf legend Jeff Clark. This is home to the original Mavericks Surf® brand, born from the boundless drive within Jeff to pursue the ocean's energy up and down the California coast -- and the dedication, focus and courage for him to first paddle out and surf the massive waves alone at Mavericks in 1975. Now more than 40 years later, Jeff continues to surf Mavericks and waves of all sizes across the world. But he always comes home to Half Moon Bay and this wave that shaped his life. Come into the shop and you're likely to meet Jeff as he designs and shapes surfboards that are sold exclusively at ou r flagship shop in Pillar Point Harbor. 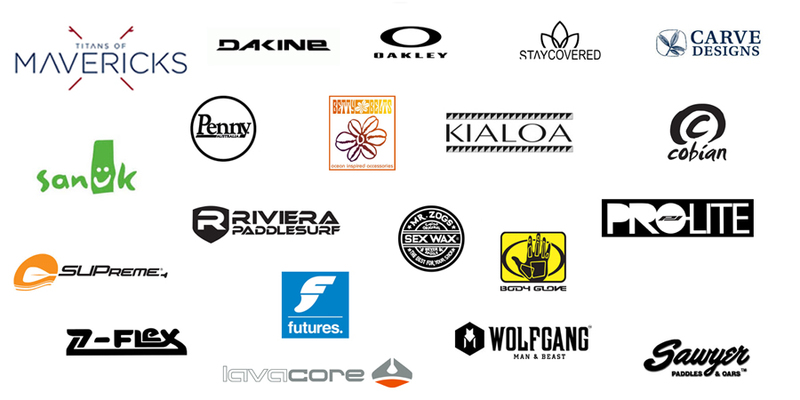 Not your typical surf shop loaded with items you can find at any typical retailer, we carry our own brand of gear as well as specific surf supplies that we use, much of it designed for the rugged surf and coast of Northern California. We also carry an array of gift items, tees, hats and hoodies for everyone, whether you surf or are a fan of surfing. And we have a curated inventory of cool, ocean-inspired gift items as well as plenty of eye candy for those wanting to learn more about the history of Mavericks and surfing in Northern California. Mavericks Surf Company is dedicated to the pursuit of surf and stoke, a passion for the ocean and desire for innovation and change. Weekends and Holidays: 9 a.m. – 6 p.m. 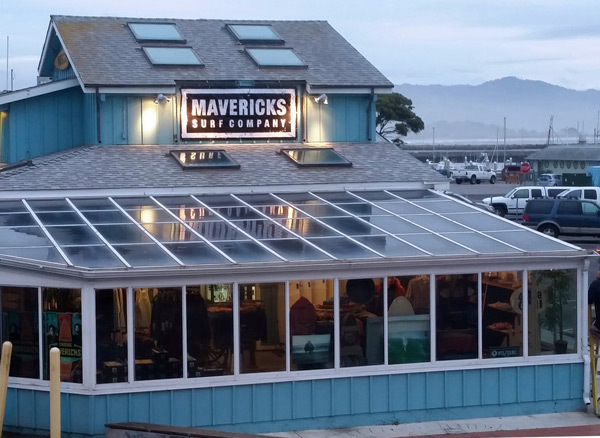 Located in the quaint fishing community of Princeton-by-the-Sea, Mavericks Surf Company is one of several businesses in Pillar Point Harbor, part of the San Mateo County Harbor District. This active harbor is home to commercial and recreational fishing all year long, with the winter months focused on crab season and, of course, big wave season! Plenty of surf breaks surround the area, with many breaks offering beginning and intermediate surfers a chance to experience the ocean without a Mavericks size wave. We also have many great restaurants and pubs in and around the harbor, as well as plenty of activities to keep you and the family busy during your visit. Stroll down the pier to purchase fresh fish right off the boats, or walk the coastal trail as far south as the Ritz Carlton Half Moon Bay. You can walk out to Pillar Point and the beach to take a look at the surf spot known as Mavericks, just 1/2 mile offshore in deep water. There are plenty of hotels in the area, too, including the Oceano Hotel & Spa overlooking the harbor (and our shop!). Ask our staff for recommendations! $15 for up to 4 hours. $20 full day depending on availability.